The following article was published on the Huffington Post the day after President Monson's passing. Who is the kindest mortal person you and I have never met? It’s possible that during this life experience we are sharing, the answer could be Thomas S. Monson. Almost immediately after his passing, social media was sending love. 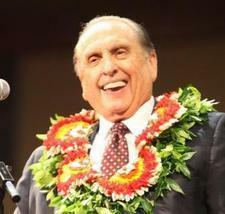 If you are not familiar with Thomas S. Monson, you might enjoy the book To the Rescue by Heidi Swinton. It describes him well. Maybe the one word that describes him best is “service.” He lived to lift, encourage, and serve “the one.” He was forever trying to be wherever he felt God needed him. He sought out the lonely, the downtrodden, and the forgotten. He often did this while also leading in a church that was growing at an exponential rate.